The new Holcomb H. Hurt Community Health Center is open nights and weekends. 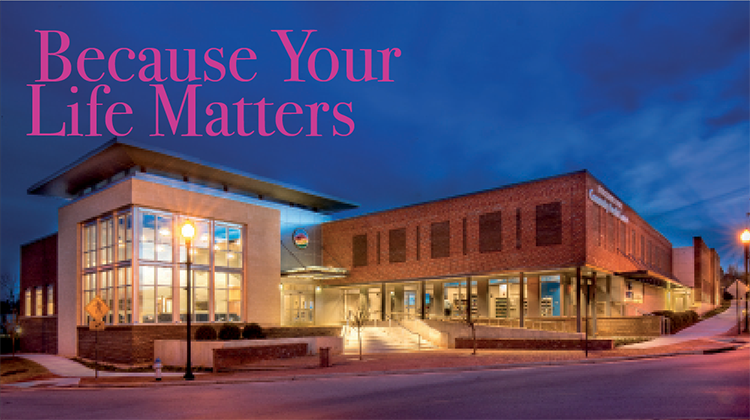 Healthcare inside the Lynchburg Region is comprehensive and accessible. Numerous providers offer all levels of care from walk-in clinics to nationally recognized hospitals. 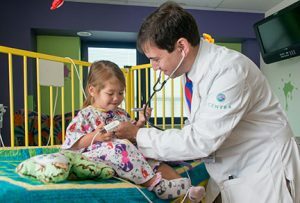 The Centra healthcare system provides medical services to more than 380,000 patients that are served in 64 locations throughout central and southern Virginia. The system provides physician practices, urgent care, physical therapy, outreach programs, screenings and tests, educational media and publications, and community health programs. Centra employs approximately 6,400. 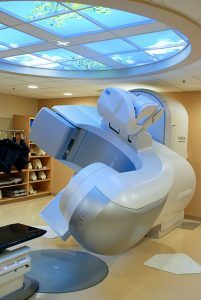 The Alan B. Pearson Cancer Center has brought first-rate doctors and equipment to Lynchburg for cancer care. Lynchburg General Hospital (LGH) houses the Stroobants Heart Center and Stroobants Cardiovascular Pavilion, a national benchmark facility for cardiac care. 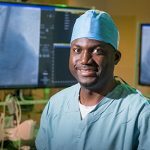 Here heart center specialists perform more than 5,000 major cardiac procedures each year. Lynchburg General has been named one of the nation’s Top 50 Top Cardiovascular Hospitals by Truven Health (now part of IBM Watson Health) for the seventh time. LGH is one of only three hospitals in the state of Virginia to be recognized seven times since the award’s inception in 1999. Centra operates the Alan B. Pearson Regional Cancer Center, which provides comprehensive cancer services and treatments that range from minimally invasive surgery to chemotherapy, biological, and targeted drug therapies; genetic testing; and clinical trials. LGH is also a Level II Trauma Center, providing emergency and critical care services to more than 92,000 patients per year. Centra Virginia Baptist Hospital is home to the Birth Center, Women’s and Children’s Health, and the Region’s neonatal intensive care unit. VBH also serves as the primary regional provider of mental health services for children and adults. Virginia Baptist operates an outpatient surgery center and provides skilled care, rehabilitation, physical therapy, and ambulatory surgery. Centra Bedford Memorial Hospital in Bedford is a full-service medical facility with special emphasis on women’s health, outpatient surgery, emergency services, cardiology care, and rehabilitative services. The facility offers 24-hour emergency care to the local community of approximately 60,000 residents. Centra also includes the Centra Medical Group, a network of local family practices, primary care physicians, and medical and surgical specialists. Johnson Health Center, non-profit, independent center is a Federally Qualified Health Center. In 2017, the independent healthcare provider served more than 17,000 uninsured and underinsured clients in the Lynchburg Region. The health center offers affordable and comprehensive health, dental, and immediate care services to residents of the City of Lynchburg as well as Amherst, Bedford, and Campbell counties. Central Virginia Family Physicians is also an independent practice with nine regional family practice offices, three immediate care facilities, a laboratory and diagnostic center. The Free Clinic of Central Virginia in Lynchburg provides high-quality medical, dental, pharmacy, and health education services to those in Central Virginia who do not have the resources to obtain basic healthcare services. A community-based volunteer program including physicians, dentists, nurse practitioners, nurses, pharmacists, technicians, and counselors make the clinic’s work possible. The Community Health Center, a new facility in Lynchburg, is expected to serve about 3,000 patients annually as a second location for the Free Clinic of Central Virginia. The $8 million clinic provides immediate and primary care as well as mental health and other services. Community Paramedic Program is a new program serving residents with four chronic diseases – COPD, congestive heart failure, hypertension, and diabetes. The goal of the free program is to cut down on hospital visits by providing medicine and long-term care in patients’ homes. HealthWorks is Central Virginia’s only comprehensive occupational health and workplace wellness provider, offering workers compensation, disability management, and related occupational health services. Ninety-five percent of all Healthworks patients return to full-duty, unrestricted work. Urgent care and walk-in clinics are open seven days a week and see adult and pediatric patients. Urgent care centers include MedExpress, Central Virginia Family Physicians Urgent Care, Physicians Treatment Center, and Centra Urgent Care. Urgent care clinics are also found throughout the Region. Eye specialists in the Region are able to treat cataracts, glaucoma, corneal disorders, and perform Lasik eye surgery and more. 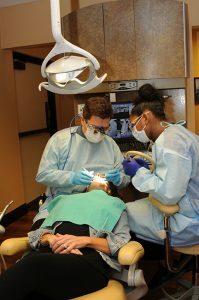 Dental services include general dentistry, endodontics, cosmetic and restorative dentistry, preventative care, tooth replacement, and pediatric care. With 20 doctors on staff, OrthoVirginia is the largest multidisciplinary musculoskeletal practice in the Lynchburg area. Specialties range from general orthopaedics and physical therapy to sports medicine and joint replacement. 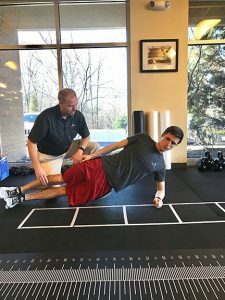 Several other physical therapy clinics including Rehabilitation Associates of Central Virginia, Inc. are located in the Region. Healthcare options for seniors range from at home care, to assisted living, to nursing homes. Centra’s continuum of services includes home health care, rehabilitation, and hospice services that help manage seniors’ healthcare needs in the comfort of their homes. One such program is PACE, a national program funded by Medicaid and Medicare. The program is designed to provide all needed medical and supportive services for seniors eligible for nursing facility care but who prefer to stay at home. PACE offers adult daycare, in-home care, medical transport, and other services that support in-home care for seniors. 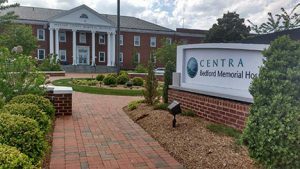 Centra’s Lynchburg General and Virginia Baptist hospitals have been awarded a five-star rating by the Centers for Medicare and Medicaid Services—one of only 337 hospitals of the 4,000 hospitals across the United States. In Virginia, Centra is one of eight in the state to be recognized with five-stars. Centra Bedford Memorial Hospital improved from three to four stars. • designated as one of America’s Safest Hospitals by Forbes magazine. • earned The Joint Commission’s Gold Seal of Approval and advanced certification as a Primary Stroke Center. • received the Breast Imaging Center of Excellence designation from the American College of Radiology. • ranked No. 5 in Virginia by U. S. News & World Report and rated as high performing in four adult specialties, achieving the highest rating possible in seven procedures and conditions (2017-18). • recognized as the Region’s first Center of Excellence for Minimally Invasive Gynecology by the American Association of Gynecologic Laparoscopists.